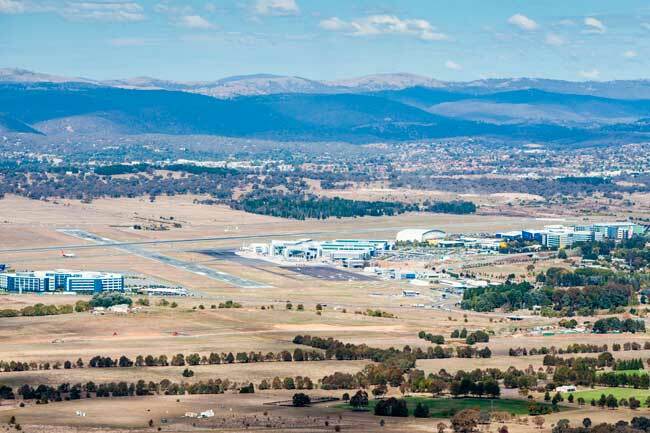 Use this website to quickly find the most important information about the Canberra Airport: Flights, Departures, Arrivals, Parking, Car Rentals, Hotels near the airport and other information about Canberra Airport. Plan your travel to CBR Airport with the information provided in this site. Canberra Airport has a single passenger integrated terminal composed by the Eastern and the South concourses. 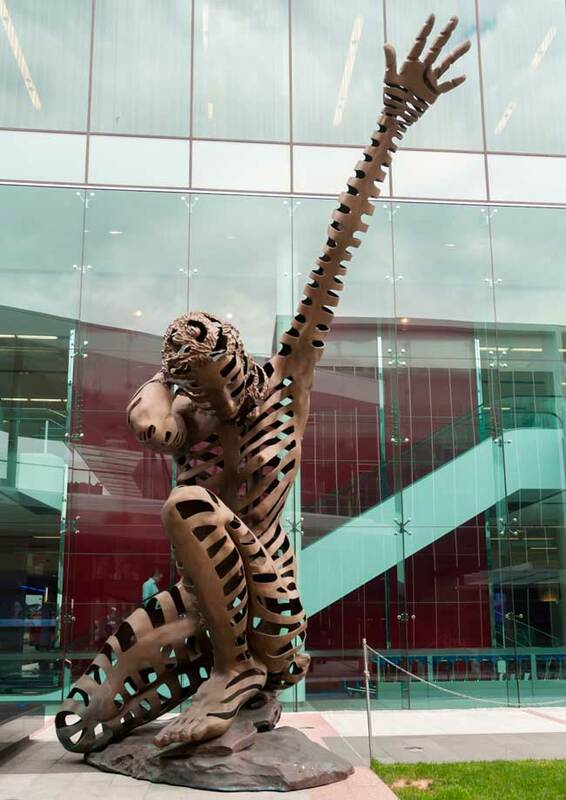 Canberra Airport main terminal is decorated with many sculptures and art pieces. Canberra hosts the Parliament House of Australia. 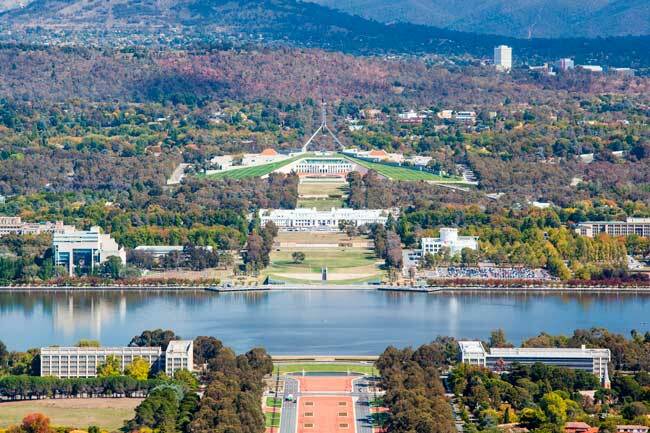 Canberra is the capital of Australia and is the largest inland city of the country. While your visit in Canberra you can visit the Australian War Memorial. Canberra Airport (IATA: CBR, ICAO: YSCB) is the main international gateway of the capital of Australia, Canberra, and serves Queanbeyan, the Australian Capital Territory and the south-east of the New South Wales county. 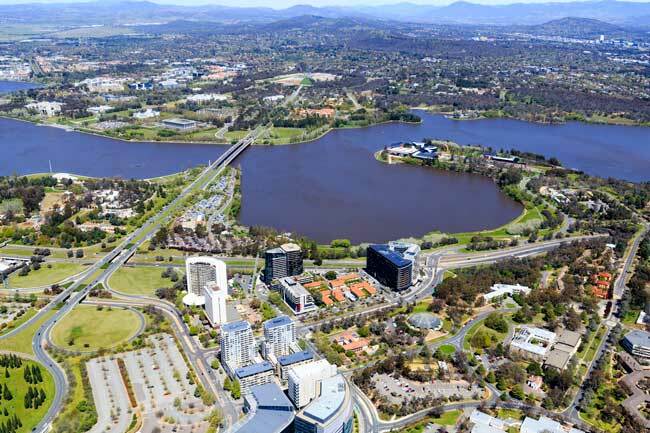 It is located at 8 kilometers from Canberra downtown, at North Canberra district. Canberra Airport is the eight busiest airport in Australia. Top domestic busiest routes from and to Canberra Airport are Sydney, Melbourne, Brisbane and Adelaide. Canberra Airport handled 2,995,470 passengers on 2017. - Ground level: The Arrivals Hall. - First level: The Domestic Departures. - Second level: The International Departures. Canberra is the capital of Australia and the capital city of the Australia Capital Territory. It is located in the east coast of Australia and is the largest inland city of the country (Sydney and Melbourne are the largest cities). As the capital of Australia, Canberra seats the Parliament House, the High Court and the residence of the Governor-General and also the center of many national and cultural institutions. 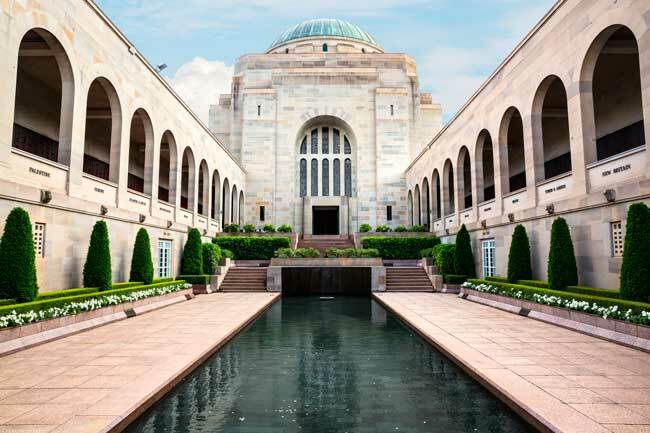 While your visit in Canberra, you shouldn’t miss the Australian War Memorial, the National Gallery of Australia, the National Library, and many of the Commonwealth government buildings. Other sites of interests are the Australian National Botanic Gardens, the Captain James Cook Memorial in Lake Burley Griffin and the Telstra Tower.